Job Summary: The ICT Assistant is responsible for providing technical ICT support to the office. NRC may be required to verify the identity of its partners/employees and to check that its partners/employees have not been involved in illegal activities. 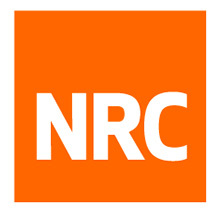 NRC reserves the right to use electronic screening tools for this purpose. Plan for technology upgrades, expansion and replacements by overseeing their systematic needs assessment, specification and budgeting. Ensure that computer network and other office technology access privileges, applications and data storage requirement and regular backups and configured and maintained. Provide ICT technical support to NRC field offices to ensure respective office technology optimum performance. Schedule regular computer and other technology related services maintenance and license renewals. Update a harmonized data and other office technology disaster recovery plans and implement where appropriate. Define, deploy and maintain system security for shared services. Ensure installation and maintenance of protection services (Antivirus, firewalls) for the entire office setup. Monitor LAN and subsequent WAN bandwidth usage and advice management on LAN/WAN improvement. Create and maintain ICT configuration database for both hardware and software and ensure the file copy is regularly updated. Organize for regular quarterly preventive service and maintenance schedules for ICT Hardware and ensure all service and maintenance reports are properly filed and shared with management. The applicant for the Norwegian Refugee Council (NRC) ICT Assistant job opportunity should hold a Bachelor’s degree in Computer Science/Information Technology or related field. Prior ICT experience in a setup with environmental and geographical constraints. Good grasp of intra net systems.